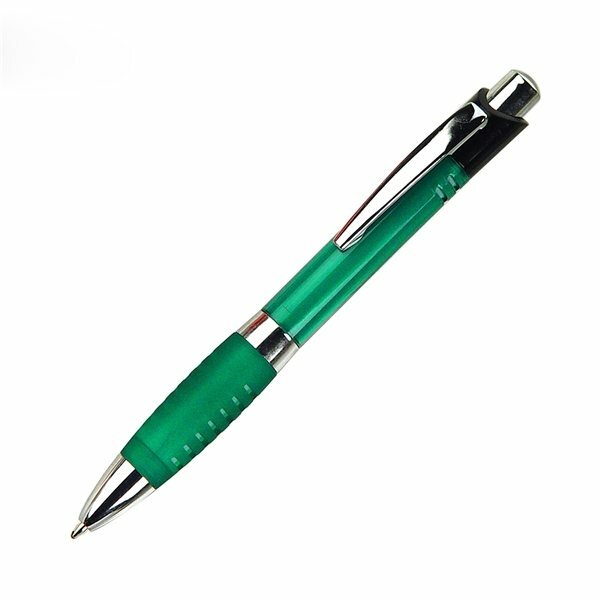 Plastic with lacquer barrel, matching color grip and polished chrome points. The pen was what we expected. Well done! Logo quality is great. Everybody at our party really enjoyed the product as a small gift. they loved it! Well done! Great hand out item - just unique enough to make an effect. I can't say enough great things about this product! We ordered it for our bi-annual trade show to house all of our ins, and everyone could not stop gawking at it!